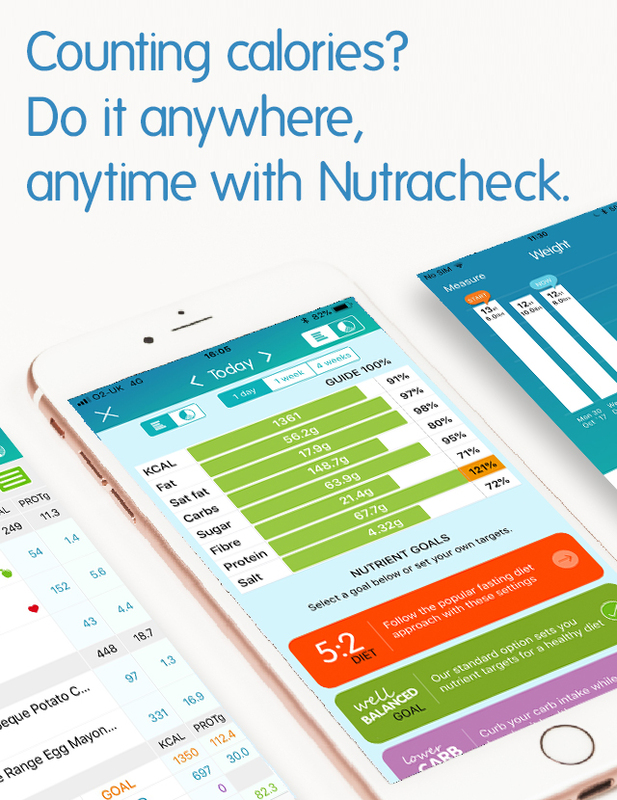 Whether your goal is to lose weight, improve your diet or eat for fitness, Nutracheck is your must-have food tracker. Use our barcode scanning App on your phone or tablet. Or keep a food diary online via the website - whichever suits you best. We track calories and 6 key nutrients - carbs, sugar, protein, fat, saturated fat and salt. Focus on the nutrients most important to you or track everything. Syncs with external activity trackers including Fitbit and Apple's Healthkit.